Two months have passed since Christmas. Christmas, you know, that joyous lovely time of the year where it’s meant to be picturesque; the houses full of happy children, mugs filled with steaming hot chocolate, and the skies pouring the white fluffy white stuff onto the streets: snow (or God’s dandruff, if you’re a child on the inside). At Christmas you don’t quite mind but having what feels like ten feet of snowfall at the end of February is a little bit too much. That being said, cold weather allows for chilled nights in, and plenty to watch! So, I may talk about staying in but I did leave the house for this one: both me and Tillson did – she drove, and she’s very good at it too! 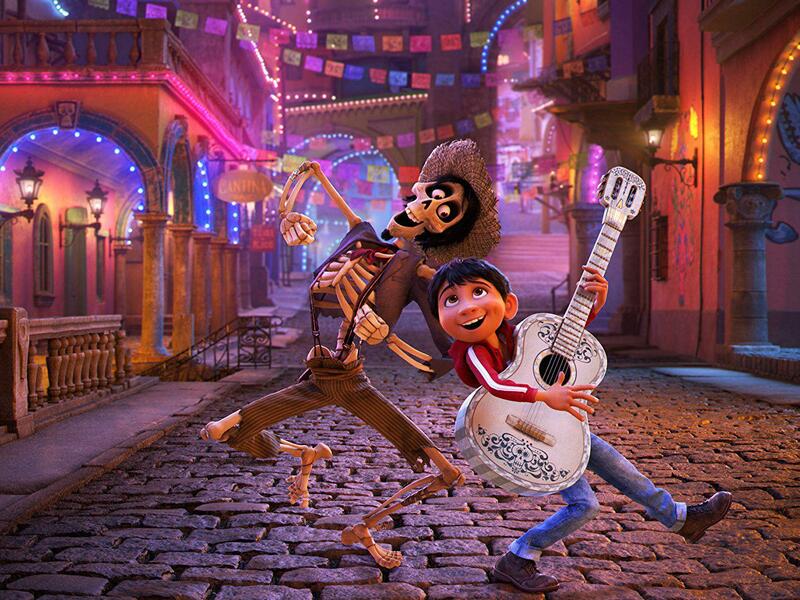 Coco is Pixar’s latest creation, focusing on a Dia de los Muertos – the Day of the Dead – a Mexican tradition where the living gathers to pray and remember those that have passed into the world beyond – shows Miguel coming terms with wanting to take control of his own destiny, yet feeling obliged and shoehorned into following family traditions. This feel good, emotional family adventure, full of rib ticklers, shows an interesting side to the fear of being forgotten, and how important it is to be an individual; not to follow so blindly in the footsteps and ideals of those we place on very high pedestals. As this show has taken a very American month-long break, I give only an honourable mention to Riverdale this time around. The episodes that’ve broadcasted since my last monthly favourites post have seen some interesting story progression, but I’m more excited to see what comes next in early March: damn you CW! Well, this gem took me by surprise! I guarantee that nearly everyone has an opinion, or belief on what happens when you die; heaven, hell, nothing. reincarnation. The Good Place mixes up a little bit of everything to provide what is my favourite comedy in sometime! 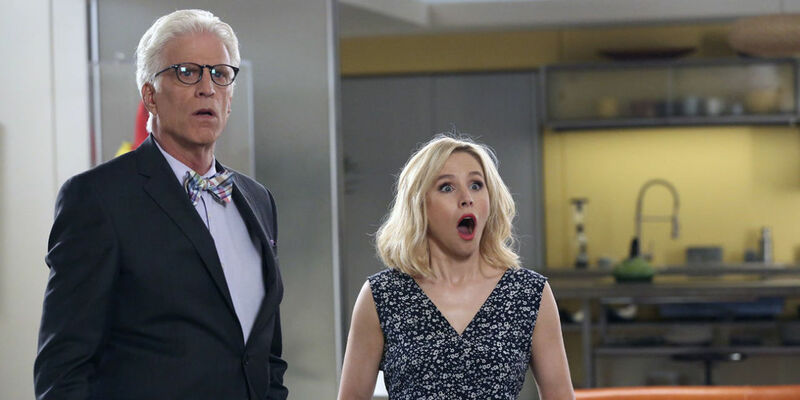 Kristen Bell leads the cast as Eleanor Shellstrop, a recently deceased American who finds herself in The Good Place, a utopia designed by architect Michael, where the only way in is to be the best possible person you can be. Except that whether you end up in The Good Place is based solely on the good that the individual accomplished on Earth. Eleanor, however, was not a good person, and must go undetected to avoid being sent to The Bad Place. This quick witted, funny, inventive comedy brings together a very diverse cast that gels so well, that you even laugh at the fact The Good Place doesn’t allow cursive words: fork it! Hailing from the markettown of Bingley, in Yorkshire, the Marmozets stormed onto the scene with their debut album, The Weird and Wonderful Marmozets, back in 2014, and quickly became one of my favourite alt-rock bands from the UK. Becca Macintyre has such a captivating voice that it’s hard not to take notice of her raw power and finesse. And for the most part this in continued on in the Marmozets’ sophomore album: Knowing What You Know Now. I always feel terrible writing pieces about music, as I won’t listen to bands I don’t like, and end up writing about what I do like: I am officially biased! That being said, this album isn’t as amazing as the first, but it’s a damned good outing for the group either way, and that’s nothing to be ashamed of. This time around we’ve more melodic tracks, but with the same punchy, infectious guitar and drum pieces that bring the album together in a very neat package. If you’ve never heard of them before, get yo’ YouTube or Apple Music out! Stand out tracks: Play; Habits; Suffocation, and Major System Error. Don Broco’s third outing takes the shape of ‘Technology’; an album driven by how humanity uses and adapts itself to the modern, self obsessed world, and whether this is actually for the greater good or not. I’ve slightly been obsessed with these guys since late 2015. ‘Money Power Fame’ has the not-so-distinguished honour of being the first song I ever heard in a nightclub, and from that moment I became hooked. As 2016 and 2017 moved on, as singles were randomly dropped, I knew that Don Broco III would be punchy and hard hitting, all in the right ways, and I wasn’t disappointed. 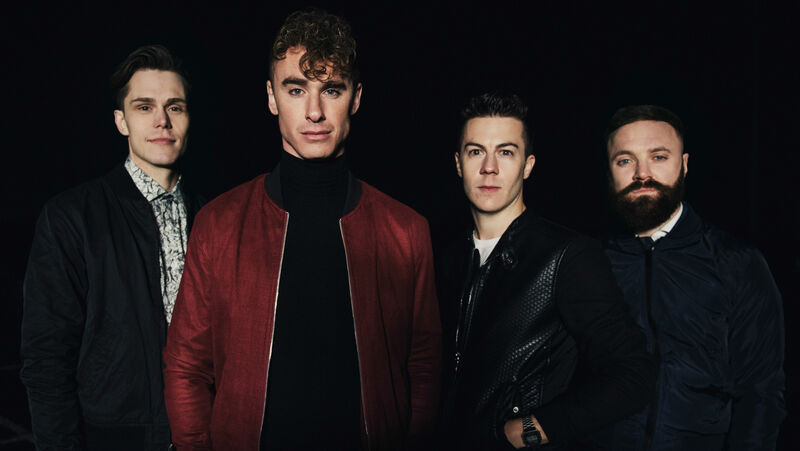 Rob Damiani’s vocal prowess is on show once again, as he uses his unique vocal style to deliver emotion and meaning in a very Don Broco way. Simon Delaney’s guitar skills are extremely prominent and proficient, secondary vocals from drummer Matt are hugely welcome and Tom’s bass playing fills my 40mm over-ear headphone drivers with a kind of warmth that’s usually found on a warm Summer’s night, sat in the garden, music loud; cider in hand. This month also saw the release of Black Panther, but I’ve yet to venture to the cinema and see that. Stay tuned for Marvel talk in the coming weeks! Also, with my idea contributor extraordinaire, Chloe, I’m in the process of beginning to revisit and research some in-depth discussions that’ll explore Science, psychology, culture and the strange ways in which the world functions. Your witty, sarcastic insights into society have only improved in recent weeks since the events, and it’s been fab!